Gathering for worship is central to our lives together as Christians in the Lutheran Student Community. You will find a welcoming community and a place seek God’s love and presence. All of our worship services are open to the campus community and everyone is welcome to participate as a member of the gathered community. This informal-style service with music led by a team including piano, guitar and more is attended by a mix of students and community members. The service includes song, prayer, readings, and reflection, and runs about 45 minutes. Holy Communion is shared each week and all are welcome at the table. Dinner for students is held each week. Offered by Lutheran Campus Ministry and Grace Lutheran Church. Evening Prayer includes song and prayer with Holy Communion for a break in the midst of your week. This is a place to truly find community on campus. Interactive reflection on the readings will give you something new to consider. Dinner is offered afterward and everyone is welcome. 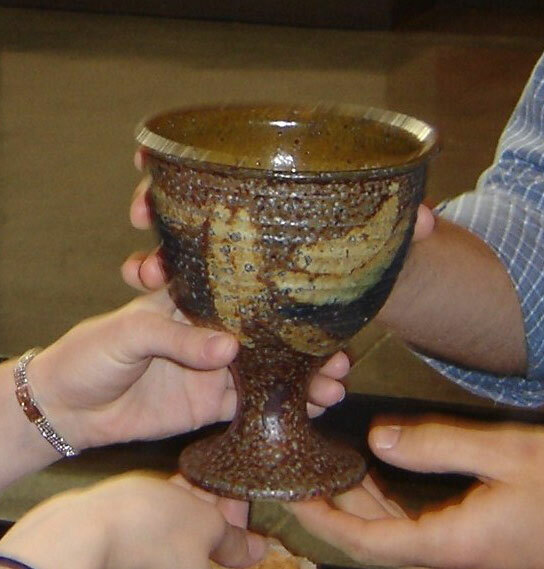 Come to a welcoming worship service in a regular congregation with Holy Communion each week. Everyone from babies to grandparents will be there and students are always invited! Once each month, students gather for lunch together afterwards! Your gifts for leadership are always welcome! If you’d like to help with music, reading, hosting, communion, set-up or something else, we would love to know! Contact Alicia Anderson at ara2@psu.edu.